Adding to a long list of honors ABC’s Construction Executive magazine has won since its launch in 2003, the CE mobile app won silver at the 2018 Excel Awards, which recognize excellence and leadership in nonprofit association media, publishing, marketing and communications. The award was presented June 25 during a gala at the Association Media & Publishing Annual Meeting in Washington, D.C. Launched in 2017, the Construction Executive mobile app lets readers view current and past issues of the magazine in a high-quality digital format that maximizes readability on mobile devices. Content can be downloaded for offline reading, and individual articles can be bookmarked and shared via social media. There’s a powerful search function too. 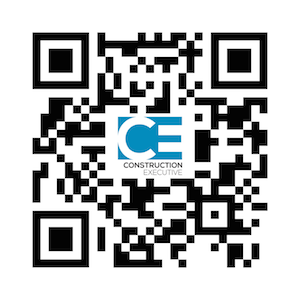 Find the free app for Apple, Android and Kindle devices by scanning the QR code below or searching for "Construction Executive Mag" in your app store.